Is it possible to move a custom palette from Designer to Designer Beta? If so, how is it done? 1) Export your pallet from AD (click on the hamburger at the top right of the studio's "Swatches" panel) and choose "Export Palette". 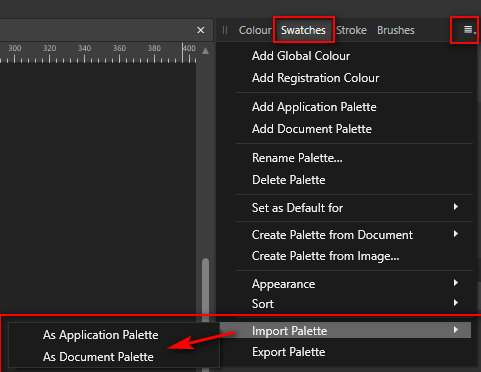 2) Import the palette in the Beta version in the same way but by choosing "Import Palette", you have the choice between application or document palette. Thanks. I have successfully imported the palette.